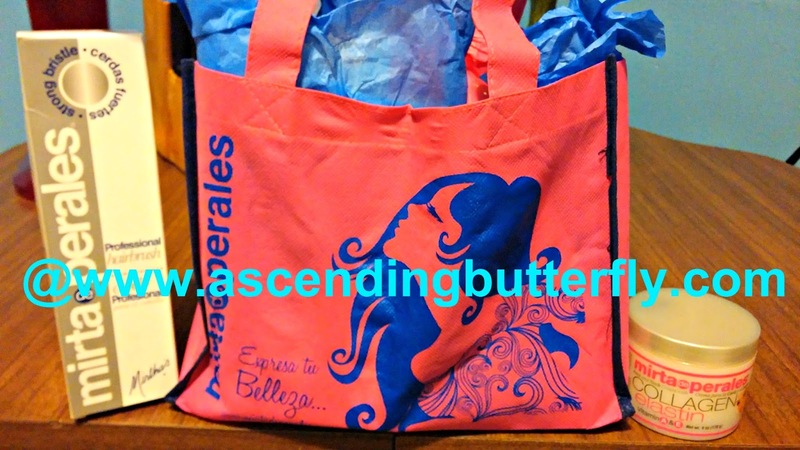 I love entering contests and I can't help entering Beauty Contests, here is a gift bag I won from Mirta de Perales, on the outside is skincare, and inside the bag was a ton of haircare! FTC Disclosure: This is NOT a sponsored post, I won this gift bag and was under no obligation to write anything about it! Wow, what an awesome prize you won! Congrats. I would have been excited about that, too! What an awesome thing to win! I love getting skin and hair care products! I love entering contests also! I also love to win. Congrats on your win. Congrats! I love winning things too - especially when it can pamper me! That sounds like a great haul. Congrats. You are always chock full of goodies. You're lucky that you can try so many products and see which ones work the best for ya! I love hauls! I love that tote bag! My daughter would have loved to win something like this! Nice! Congrats on your contest win. LUCKY YOU!!! I need to enter more contest. My friend just won a trip to Miami. The two of you are a huge inspiration to get in the game. It's so exciting to win something! Congratulations on your great prize! Fun winning! And hair and beauty stuff, that can't be beat!! Wow how cool! Great prize! Congrats on winning. I used to win everything I entered. Now, I never win! It's so fun though! Congrats! It looks like you got a lot of great stuff! I would be excited to win this, too! Congrats on your awesome prize! I don't win things too often, but I love winning free things! Congrats on your win! Great win !!! Congrat's . Congratulations on your prize. Hope yo got some great products. I haven't won anything in a while. You've inspired me to enter some contests. Fun win! Congrats on your win. I love entering contests too! Mirta De Perales has some really great products, you're going to love them! Congrats on winning! Its been a while since I won something I need to win something! It's spectacular that you won the gift bag, hair care, and skin care products. I used to enter contests all the time, but haven't lately. Congratulations on winning the gift bag!! It looks like it's great! I love winning giveaways an trying new things. This looks like a great win! I have totally fallen in love with reading about makeup and beauty hauls. Congrats on your awesome win!